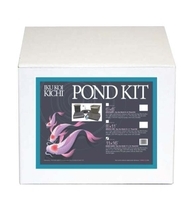 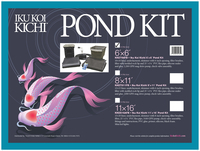 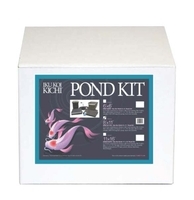 Iku Koi Kichi pond kits eliminate the time and guesswork of assembling a pond package. 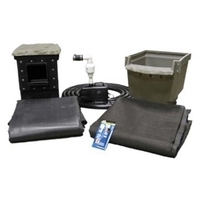 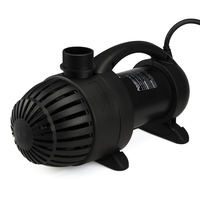 The kits include everything you need to build a beautiful water garden including liner, underlayment, skimmer, Aqua Falls filter, flexible PVC pipe, high efficiency pump, underwater light kit, all necessary fittings and instructions. KKET66FB: 6' x 6' Pond Kit.